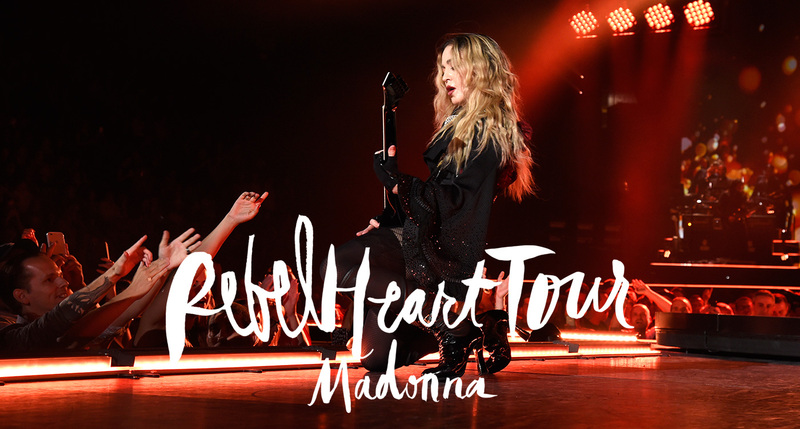 Madonna today announced that Haitian-Canadian electronic musician, producer & DJ Kaytranada will open the Rebel Heart Tour dates in Detroit, MI on Thursday, October 1st at Joe Louis Arena and in Vancouver, BC on Wednesday, October 14th at Rogers Arena. Additionally, Los Angeles-based DJ, producer and pop artist Michael Diamond will open more dates on the Rebel Heart Tour including Atlantic City, NJ; Toronto, ONT; St. Paul, MN; Portland, OR; Los Angeles and San Diego, CA. Diamond who is a producer on Madonna's heralded Rebel Heart album most recently wrapped a three city support slot with the Material Girl in Boston, Philadelphia and Chicago.